This article was first printed in Wargames Illustrated issue 300 in a slightly different form. The reason for including it as series in the blog was the realization that not everyone reads WI! It was also a fairly well received piece. Barry Hilton - Everything starts somewhere. Led Zeppelin was once the Band of Joy and Stealth bombers are the great grandchildren of Wilbur and Orville Wright. I have never been one for blind xenophobia and invariably excuse myself from the chorus when it comes to lionizing British military prowess. 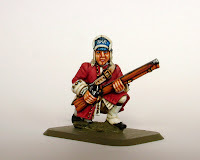 If however a solitary example of soldiering was to be included in the history of humanity, I would go for a chippy bloke in a red jacket with a musket in his hands. Britain has a long and eventful military heritage. The Royal Navy with justification can claim seniority however the humble Redcoat is arguably the prime symbol of British martial endeavour because of his very ordinariness. I don’t mean an officer or a general or a cavalryman or the Grenadier Guards, just a private from any of a hundred regiments of the line. These lads built an Empire. The red coat provokes schizophrenic response both at home and abroad. It has been spat at, vilified and thought the garb of criminals, idiots, layabouts and scoundrels. It wearers have been perceived as thuggish instruments of state used to quell public disorder and enforce the will of the powerful on the weak. At the same time, these wearers experience an intense esprit de corps and enormous pride. They have performed amazing acts of valour in its name, gaining plaudits from those who often protest most loudly against what it symbolizes. American attitudes are particularly interesting. Redcoats are the villains of the Revolution but hugely cool to be if you are a living history re enactor. They are a symbol of a repressive, class fixated imperialist past but incredibly popular in US gaming circles. You get the idea, Redcoats are symbolic, iconic, impressive en masse, in other words, they’ve got that certain something often described as ‘it’. 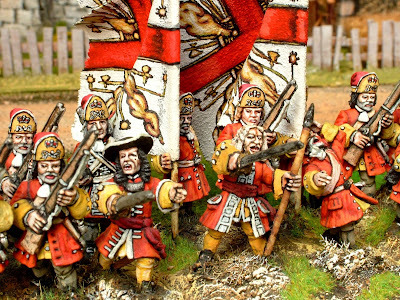 The adjectives applied to Redcoats are legion; stoic, unflappable, resolute, steady, immovable, irrepressible and terrifying. Their reputation is built on 350 years of march, sweat, dust, mud and blood. So who were these men and where did they come from? If a Redcoat spoke, and you were expecting the voice of Michael Caine as Gonville Bromhead you’d be disappointed. Far more likely you’d hear regional accents almost unintelligible to non-native English speakers; an East Anglian twang, flat Yorkshire vowels, chirpy Cockney chatter or an edgy Belfast burr. They came from little towns like Coatbridge, Rhyl, Sleaford and Enniskillen and hundreds like them as well as from the big cities. They were ordinary men from very ordinary places. They fought and died in hundreds of thousands on every continent and in every climate, led by heroes and idiots alike. They were by nature contemptuous of foreigners, incessant grumblers and seemed generally reluctant about everything. They were suspicious of the unknown, pined for home constantly and had an inbuilt racial arrogance that failed to recognize there were better men than they under arms alive or dead. They tasted victory more than defeat and enforced the will of their country to the best of their ability, for right or for wrong but where did it all start?